We are sure you know what to do in Cusco; visit Machu Picchu, Sacsayhuaman, the Sacred Valley of the Incas, Pisac Market, will take a selfie with a llama; but do you know what you do not have to do? Well there are some things you definitely do not have to do on your trip; this will help you enjoy your trip to Machu Picchu even more. Well something you definitely do not have to do on your trip to Machu Picchu in Cusco, and is to wait to be in Cusco to buy tickets for entry to Machu Picchu, availability of these is very limited and must be booked well in advance; What’s more, the first step for your trip to Cusco is to book the Machu Picchu tickets. After this, with a little more calm you can reserve Pisac, Moray, Ollantaytambo, Urubamba or if you wish all the Sacred Valley of the Incas before or after Machu Picchu. You can organize everything on your own but the best way to make a trip of this type is to let people like us, travel experts take care of your itinerary to Machu Picchu. Decide when you want to get to Machu Picchu and we will make it happen. It is true that Peru is one of the best culinary destinations in the world; but that does not mean that all the restaurants in Cusco serve good food. So we recommend having some caution about where you eat. It is preferable to rely on your guide, or ask restaurant recommendations to the people of your hotel. The San Pedro market is a good choice, delicious traditional food and cheap. If you are going to make the trip to Machu Picchu on your own; you should know that the most important thing is to reserve, first, the entrance tickets to Machu Picchu; but if you plan to go to Machu Picchu as part of an organized tour; be sure to look for a good company since the trip to Machu Picchu is not done every day. It is possible that for some people it is better to book your hotels in Cusco away from the Main Square. Cusco has one of the fastest and most crazy nightlife in all of South America. But if you prefer to “rest” before your trip to Machu Picchu, then it will be preferable to look for a hotel far from the Main Square of the Cusco. 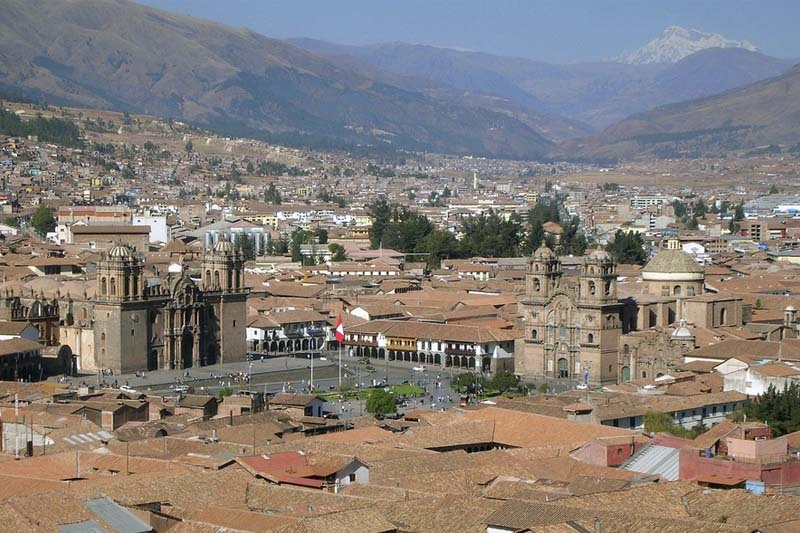 While Cusco is a fairly safe city, if it comes during the high holiday season (June – July), you will see that the Main Square fills up to the point that it is quite difficult to get around. But if you have to move between this huge crowding of people, try to put your wallet and your documents in a safe place. If you have things of value or money, you should leave them in the hotel safe or another safe place; carry only what you need. Take care of your passport, without him you will not be able to enter Machu Picchu; in addition, could lead to having to deal with the darkest depths of the bureaucracy of South America. You must know that Cusco has one of the best nightlife in Latin America; so maybe he decides to go out dancing all night; then, do not walk alone at night and with other drinks. In fact, do not walk alone at night and period; this goes into the common sense section. A taxi from the city center of Cusco to your hotel should not spend 10 soles (US $ 3). The official taxis have hexagonal logos on the windshield and in most cases have the company number on the roof of the vehicle. Do not miss the small white ticket you received when filling out the customs form at the airport; you will need it when you leave Peru, and you may be asked in some cases along with your passport. The plastic waste generated by tourists in Cusco and Machu Picchu is astounding; there are many ways to avoid this; you can carry a small water filter, purification tablets and a rechargeable bottle. We recommend reading How to make a responsible trip to Machu Picchu? At Av. El Sol in Cusco you will have the opportunity to change your money; however, a safer way of doing so is by using the numerous exchange houses that are along the same avenue; this will prevent all kinds of fraud. Do not photograph local people without permission. In Cusco you will see many people in colorful costumes; some, ready for a celebration, others because it is their style and others with animals, llamas, sheep or alpacas. No matter how much you want a picture of that person, do not take it without first asking permission; in some cases you will be free and in others you will meet people who live from this activity and who will have to give a small remuneration or tip. Llama are particularly photogenic animals and definitely taking a selfie with a llama is something you have to do in Cusco and Machu Picchu.How many times do you have the opportunity to take a photo with a llama? We believe these 10 tips cover the main points, but if you have a special question or are looking for a great trip to Cusco and Machu Picchu, please contact us at info@boletomachupicchu.com.